This band needs no introduction here. They're a favorite of Stubborn Records' Posse and Crew, and they always deliver. 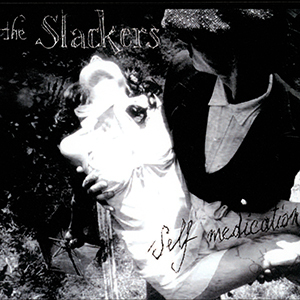 This CD, much of which was recorded at Version City Studio by King Django, sounds like a forward movement into The Slackers' famous tendency to defy and destroy genre constraints. Ska fans will love this CD, as will Reggae fans, Rock fans, and fans of Psychedelic and other "out there" styles. It stomps, it swings, it skanks, and, as always, it keeps you interested and entertained throughout.